إن فندق Glenferrie Sydney بموقعه الممتاز في North Sydney هو نقطة انطلاق جيدة لنزهاتك في سيدني. يقع مركز المدينة المثير على بعد 2.0 km فقط. سوف يعشق النزلاء موقع هذا الفندق، فهو قريب من أهم المعالم السياحية في المدينة كمثل كيريبلي هاوس, كيريبلي بوينت, انسمبل . يعمل Glenferrie Sydney على ضمان إقامة مريحة لضيوفه من خلال خدماته الممتازة وحسن ضيافته. يقدم الفندق تخزين الأمتعة, واي فاي في المناطق العامة, التوصيل من وإلى المطار, غرفة عائلية, مطعم لضمان الراحة القصوى لضيوفه. تتضمن كل غرف النزلاء وسائل الراحة والتسلية المصممة خصيصاً لضمان الراحة القصوى للضيوف. صممت خدمات الاستجمام في الفندق والتي تتضمن ملعب للأطفال, حديقة لمساعدتك على الاسترخاء والراحة. 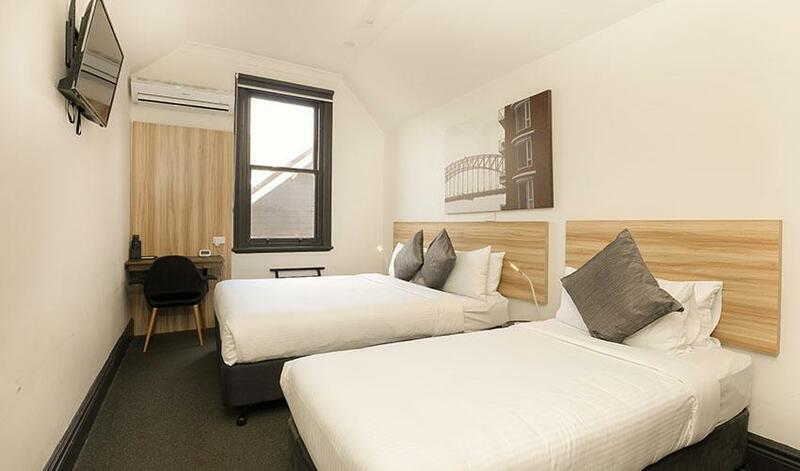 استمتع بخدمات لا يعلى عليها وعنوان ذو اعتبار في Glenferrie Sydney . يرجى العلم أن النزلاء الذين يصلون خارج ساعات عمل مكتب الاستقبال، يمكنهم استخدام مفتاح الفندق الآمن في تسجيل الوصول. يرجى الاتصال بالفندق مباشرةً للحصول على كلمة المرور، ستجد بيانات الاتصال في تأكيد الحجز. يرجى العلم أن يُسمح باصطحاب الحيوانات الأليفة في العقار التي تزن أقل من 20 كيلوجرامًا. يوجد رسم إضافي للحيوانات الأليفة/الليلة (في الغرف المزودة بشرفة فقط)، وينبغي سداد هذا الرسم قبل الوصول. يجب أن يكون أن تكون جميع الحيوانات الأليفة مربوطة برّسن في جميع مناطق الفندق العامة والردهة والممرات والمناطق المحيطة. لا يُسمح بدخول الحيوانات إلى المطعم. يحظر ترك الحيوانات الأليفة بمفردها في غرفة النزيل، ويُمنع جلوسها على الأريكة أو الكراسي...إلخ في صالة الفندق. ينصح الفندق بإحضار القطط إلى الفندق في صندوقها المحمول، وكذلك عند الخروج منه أيضًا. I was lucky to get a good deal for the room. The 10am check out in a pain point. but the location is perfect for a great exploration. Metro, variety of food places,Sydney bridge,the jetty all are within walking distance. it gives amazing view as well. There were so many stiff stairs to go up to the room without any elevators even though I had heavy luggage. The room had lack of facilities (eg. spoons, plugs, few towels). The view was ok and even though one of the staffs was quite nice and supportive, another staff was very very rude when I called him to ask a question after checking out. He was really unkind answering the question and after talking for a while when the line was not good and couldn’t hear voice well, he just hung up the phone. It was my last stay in Australia and gave me horrible memory. Glenferrie Lodge is in a good position, ferry is just down the road, walking distance to Luna Park, not much in the line of eating places but delivered takeaway is alright. We were delighted to find this accomodation option at such a convenient location for our needs on that occasion. WE had chosen the cheapest option but found it to be basic but adequate for us. The bed & pillows were very comfy and the bedside lighting was excellent - which is not often the case in budget accomodation. 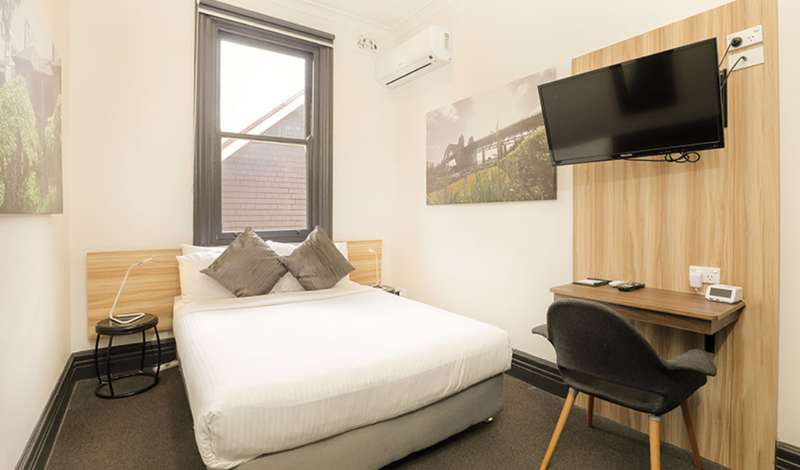 It's the best location to stay for people who aim for sightseeing around the CBD area and North Sydney as well as saving money for accommodation. If planning to join Sydney running fest., it's very convenient location just 650 meters away from the start point. It's absolutely easy to come back after marathon. Just one ferry stop from the Circular Quay. 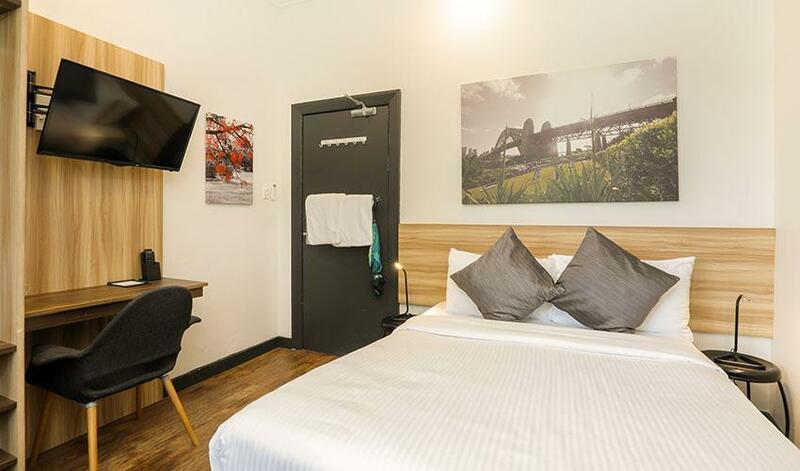 Easy access to the city from Milson's point using either train or ferry. Just a kilo meter away to the train station and approx. 700 m to the wharf near the Lunar park Sydney. There are a convenient store, super market and café restaurants near the train station as well. Glenferrie is great. Have stayed there for years, through several owners. Their breakfast is always great. 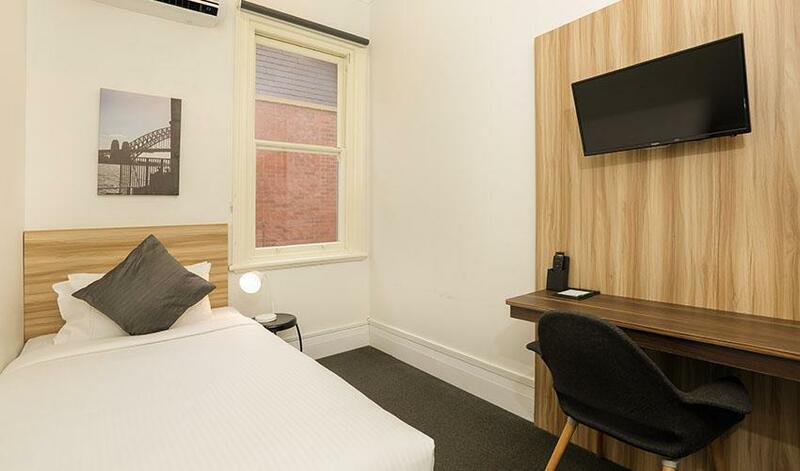 But like all Sydney accommodation it is dreadfully overpriced, especially for a room with shared bathroom and no lift or porter to help with baggage up flights of stairs. Loved this guesthouse. It was quiet, yet right in the heart of Kirribilli and 50m from the ferry across to Circular Quay. Stayed with kids and they enjoyed the large garden area and breakfast. Will definitely book again and recommend to friends. 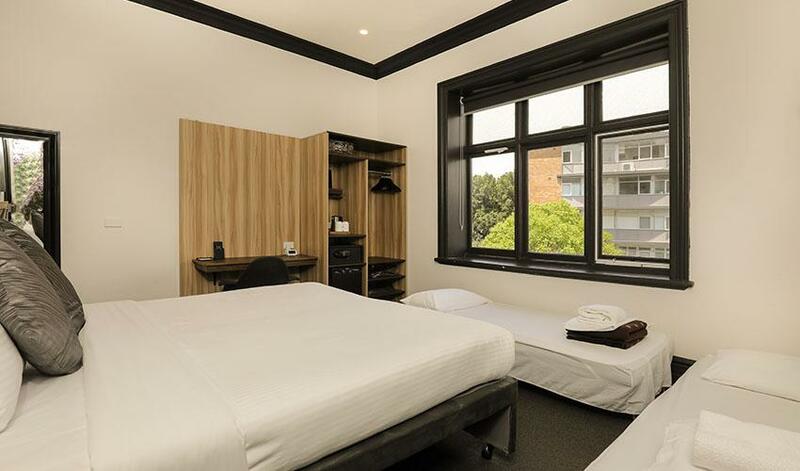 I liked Glenferrie Lodge. I was in a great location not far from the harbor and ferry wharf. Catching a ferry to the city or other ferry wharves was easy. Complimentary breakfasts were nice. The staff was friendly and it’s a nice historic hotel. I found the room a bit small, but then it was very reasonable. My key card stopped working a few times, once very early in the morning locking me out, but the management came when I called the front desk bell and sorted that out. There are good garden amenities out the back too. I would recommend for a lower cost visit to a very nice inner city suburb of Sydney. 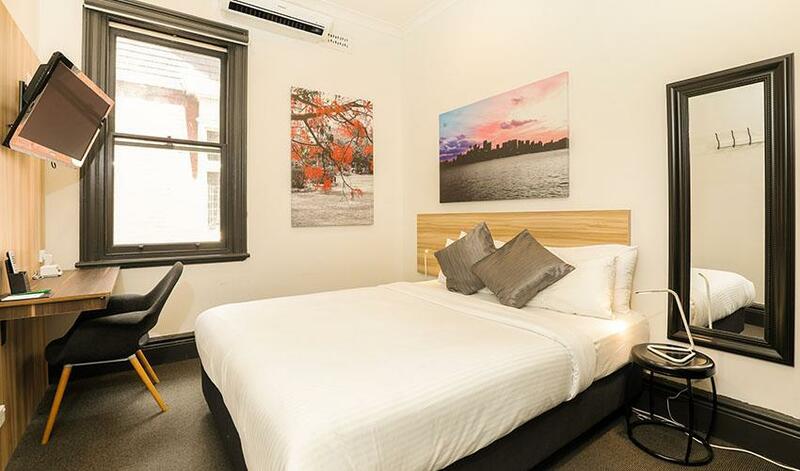 Location is great, next to the bridge with beautiful opera house and harbour view in walking distance. No soundproof, I could hear guest snoring from next door. My room was next to outdoor stairs, which is the worse part. I could hear people walking and talking through the stairs late night and early morning. I didn’t have much sleep at all. I will visit this place again for sure. - limited bathrooms - bedroom cleaning is only 3days once, otherwise, it will be chargeable - there has an unfriendly waitress serving in the cafe, though the small incident was my mistake and i had apologized for my mistake but she is still showing the face and treated us unfriendly.. - only 1 washing machine available and it's not allow to be used after 9PM - breakfast choice everyday is almost the same. - limited bathrooms. - bedroom cleaning is only 3days once, otherwise, it will be chargeable. - there has a unfriendly waitress serving in the cafe, though the small incident was my mistake and i had apologized for my mistake but she is still showing the face and treated us unfriendly.. - only 1 washing machine available and it's not allow to be use after 9PM. - breakfast choice everyday is almost the same. 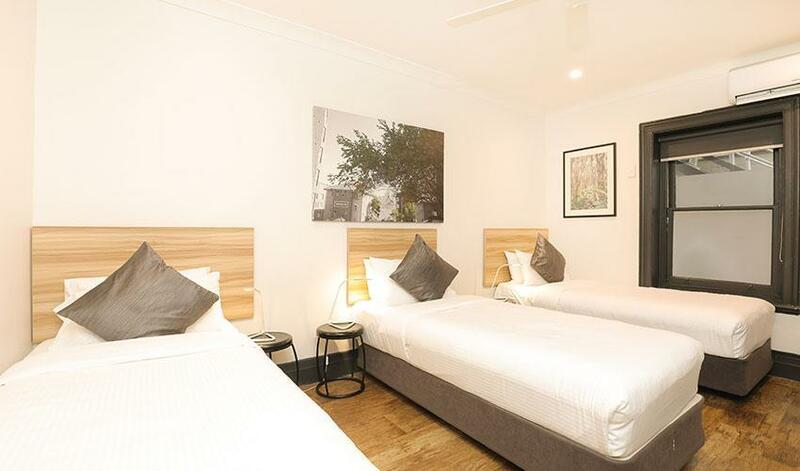 We've stayed at Glenferrie lodge a number of times and love it each time. The double rooms with balcony overlook a beautiful big tree - it feels like you're in a treehouse. 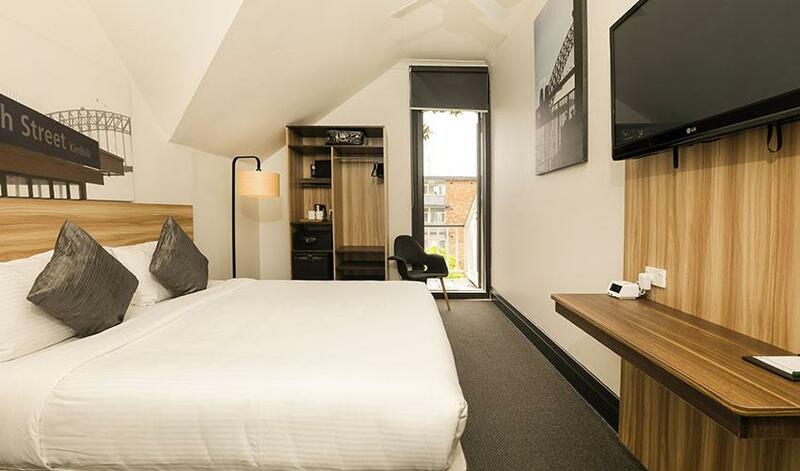 The rooms are compact but with everything you need, and the shared bathrooms are always clean and tidy. Location makes up for any negatives. Neighborhood is beautiful/upscale. Ferry stop very close by and very handy. Excellent restaurants nearby within a rather short though slightly hilly walk. No elevators and shared bath were no problem for us. Staff was warm and friendly. Helpful in arranging transportation. Breakfast was a great deal. Very good hot breakfast. I stayed on the first floor so I didn't have to climb the stairs with my luggage. The staff was helpful getting my suitcase up to the lobby from the road. Glennferrie is a good 10-15 min. walk from the train station. So be prepared to walk down hill with your luggage going to, and uphill with your luggage when you return to the train station. The facilities are clean. The bed was comfortable. The shared bathrooms were clean. I didn't have any trouble getting a shower (3 stalls) or using the toilet stalls. I had to get used to what to carry to the shower and how to carry my things so as not to drop them on the ground-take a bag to carry your things and hang them on the door. Take shower shoes. The breakfast was amazing-fried eggs, scrambled eggs, bacon, cooked vegetables, potatoes, cooked cereal and cold cereal and sliced bread for toast. Juice and fresh fruit were also provided. There was a faucet for cold and hot water in the breakfast room to fill up my water bottle. They also had complimentary tea and coffee packets. Overall, great experience. Wonderful place to stay, the staff were wonderful, the location is so close to transport and the city and yet it is peaceful and quiet. The room was all we needed and the facilities were excellent. We would definitely stay there again. 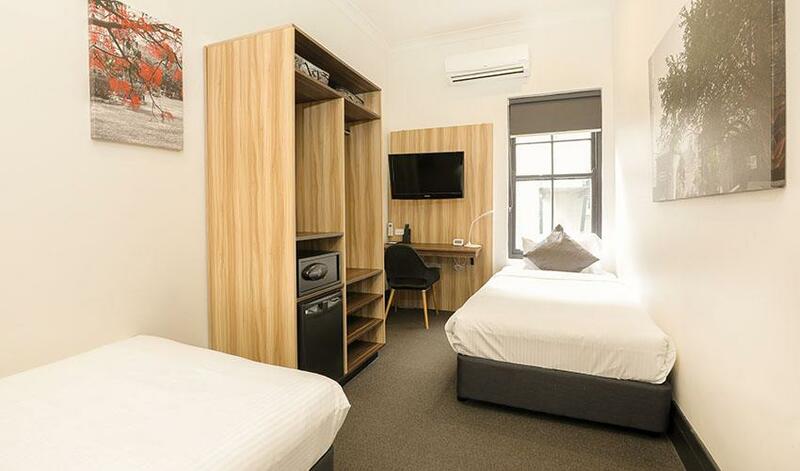 The hotel was clean and situated in one of the prettiest suburbs of Sydney. It's fairly close to the train station (10-15 minutes walk). Really liked the breakfast too. Great value for money. However I was a bit concerned when I turned up at the hotel a couple of hours early than the check-in time and found that there was no storage room for my luggage. I've travelled extensively that was unusual (even at hostels they have a luggage room). I was told that "Don't worry, we have a security camera in the area". Hmm not exactly comforting. However the staff was accommodating enough to allow me to store my luggage behind the reception desk. And I came back to find my luggage still there. Phew! Not that I had anything valuable, but it's just a hassle to have to replace stuff. Overall, still a great place to stay.